Ceramic inlays are the right choice, if you wish for natural looks and a longlife solution. Ceramics do not differ in shape or colour from your original teeth. The material provides with great chewing attributes. Composites(synthetic materials) have proven themselves as worthy and multi-purpose materials. When teeth in the front or on the sides of the denture are damaged slightly, these composites are the best of choices. 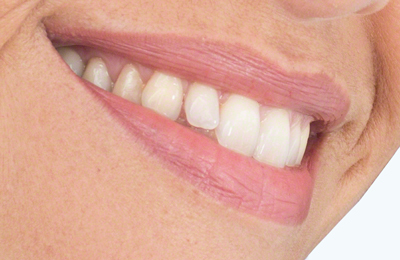 Veneers are wafer-thin ceramic shells. They correct stains, gaps and irregular teeth and thereby improve your appearance immensly.